It’s bargain shopping world we live in, and why not? It’s great to get a deal on Flat screen TV’s. 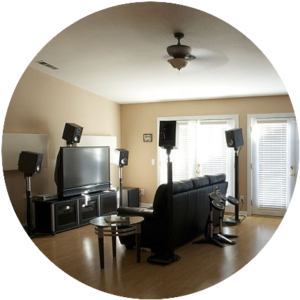 you could use the extra savings to buy a good surround sound system or maybe you in the market for a brand new projector that can make an average living room come to life. But there is so many ways to find a good deal on a flat screen TV. We put together a pretty good list of deal you can’t miss out on which will set the standard on shopping. It’s better to find the deal that fits you need best and it pays to be patient. Finding the right deals requires more than just relentless surf and comparing. You have to be ready when these specials come out and choose based on needs not on price. What is a good place start on shopping for that new TV ? 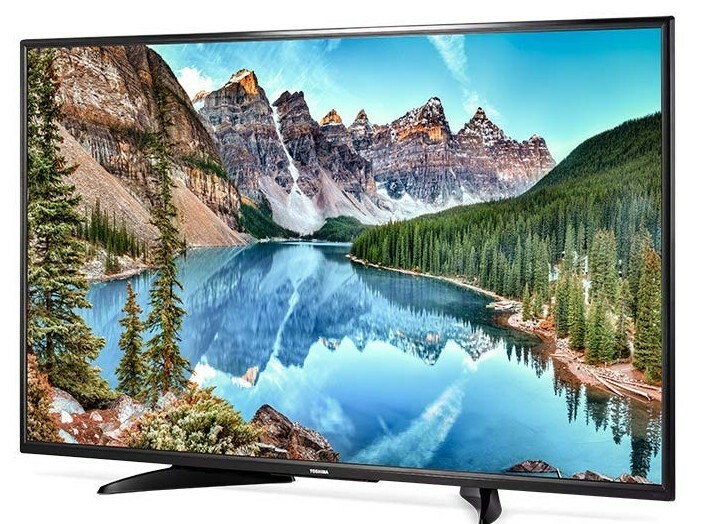 Finding a good place to shop for that ideal flat screen set is paramount, You have to known where exactly which set has the hottest deals going on. I start offline and go to Best Buy for new lines of TV’s I would like to purchase. At this time I’m not looking at the price, I’m for quality, style, size and brand. The reason for these qualifications is simple, it fits to my needs for a good TV set to have. In order to known what you want in a TV set, make a check list to use towards needs first. As you fill in all of your needs to this list, make another list to use for comparison between brands. My sizes for this TV is? Which brand has the best 4k projection? Is the accessories include a TV mount or stand? Which one has a good quality amount of features to use? Is This TV set compatible with my sound bar/ surround sound system? How much space is needed to fit a flat screen and extra equipment in my room? This could save you much time and money trying to get a better idea of what type of TV you’re looking for. There’s nothing to wrong with look in different places to gauge better options. I would highly recommend it. It’s good to have a lot of secletion in the process to cover all bases on what is a need on your list. Also, check the history of the brand and the amount of quality output these TV have by checking customer reviews. Sears is known to have good sets to check out, The displays bring your attention to detail and pretty many checks off most of what your list is asking. Walmart gives you affordable prices and some good quality TV’s but lacks in features and cutting edge technology. But is you’re looking for the best place to find the ideal TV set it’s Amazon. I would suggest using this option after you have done some offline window shopping, that way you can have a good understanding of what you really need as far as a good TV set. I known this may seem backwards but most of the best deals to save money and get the greatest value is online TV deals. in amazon you have the options for what size, quality brand and the onsite comparisons for either price or specifications. You can have the luxury of checking out new features which comes many options to consider before making the final choice of purchase. What I love about this part is the checking out the new lines of features a TV has which gives you a better perspective on things far as high quality view to superb sound clarity. I love the extra features and accessories but it’s all about stick to ht you need the most for entertainment. Flat screens with compatible hook ups to surround sound systems can serve you best in general, then try to keep in mind that you’re looking for the best value for your buck. Some brands can offer a lot of style and flash which is your not careful can instantly cause problems down the line, due to repairs and issues regarding performance and setup. Installation is key, I would, at this point look to read more customer reviews check out any issues or troubles people may have had on a particular brand. Nobody wants to buy an expensive Flat screen and come up short with problems and issues. I would like to share with you three flat screens deals to check out. I think you will not only find them at a decent price also with good features and options PLUS save hundreds of dollars. I hope this helps you on your search for a better flat screen TV deal. The Toshiba has some the better options to choice from. It’s great to have thousands of channels and apps at your disposal. 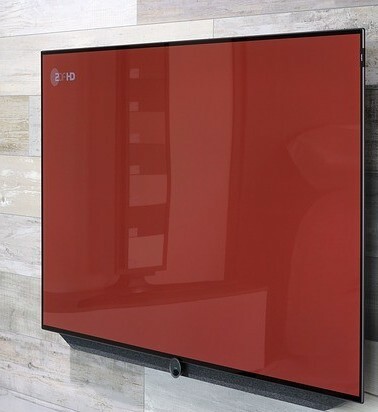 I really can’t believe this is very affordable with so many features available to use like Netflix, Prime Video, HBO, Starz, hulu and many more, you can see there is more to love about this Smart TV. Did you known that it’s all built to give you more than just a bunch of channels, Toshiba can give you the best price deal out there. Do you have more things to do with like listen to music while cooking catch all of your favorite shows. Entertain your guest with these brilliant colors and deep blacks for richer quality contrast. With Fire TV you have access to the many channels streamed all on one screen which in operates in high quality HD. To me this is a wonderful Smart TV to start out with. You have the power to save money and space with this model, but let’s take a look at the features and specifications to determine what is Toshiba working with. Best Features to look for: Smart Alexa can help out by ordering a pizza, play a video game or surf the net, or Check sports scores at your finger tips. The Voice Command feature will win you over, just imagine accessing regular controls and displays without even lifting a finger. Pro’s: Nice 720p quality with deep dark colors and fine tune HD picture. Fire TV allows you to have the best set of channels and apps to choose from. While you change to the next set of options for use. Tuned to a quad-core CPU/multi-core GPU processing system, this Smart TV is built for performance and Speed. Con’s: Does not come with HDMI input cables It’s (NOT included). This TV is not 4K ready and does not have 4K features. People had trouble with operations and features, may be best to include the warranty package just in case of technical issues. This Model will display Advertisements in the content bar which is hard to get rid of. 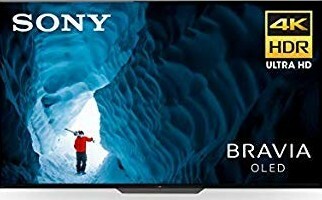 Sony Flat Screen has great 4K features with eye-popping quality with colors and Blacks. Have you heard of a Flat screen with 8 million self illuminating pixels? take your movie watching experience to new levels with brilliant displays of ultra HDR quality picture. HDR stands for HIGH DYNAMIC RANGE which means life like displays and vibrant contrast. Dolby Vision, IMAX, like features bring you into the world of the real, but introduce a Triluminos Display feature takes you on a bright real life color display ride with unbelievable shades of color to fully capture a look though a window like experience. What I like about the Samsung technology is they have some the stylish designs out there on the market. 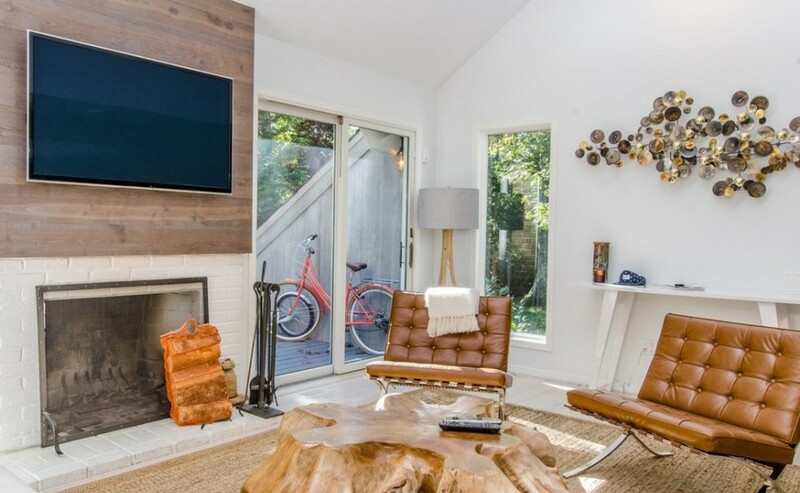 If you your more into the look which is a small part of the flat screens value then you will would appreciate the overall value it has as well. What type of value Samsung has in this models nothing short of amazing. Envision 4 times the pixels better than full HD, that means you can watch not only the fine detail of an image on screen, it’s kicked up to four times the definition so it’s more than just enhanced clarity you’re looking at a REAL time image with greater detail. That is a difference maker. Just check out the specs on this model. Pro’s: You can have many apps and TV shows movies and games to choose from all loaded up on the TV it’s self. 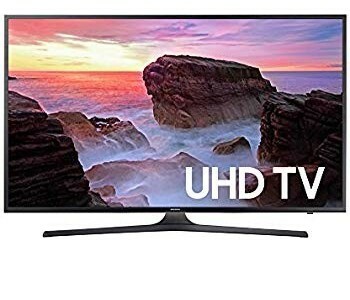 Change the setting to any device that’s hookup to the TV with One Device remote, 4K technology gives you that real time imaging with a motion rate coverage at 120 this will be a steal. Con’s: No wall mount screws or hookups come with it, and the HDMI cables are not included. Netflix app have ads running. Brand Vs Features: Which One Do You Look For ? I have to admit, the brand draws me in to see what particular item have the latest and greatest things to excite my interest. But to my honest opinion, I have to go with the features. The reason for this: High definition, Mega Pixels, and Razor Sharpe contrast with REAL time picture quality top it off with IMAX sound and fast pace motion techniques. Features win me over to a big degree. But it’s more of what you are looking for in a flat screen television set that should win you over enough to fit all of your needs. But I’m curious to known which one do you look for? Please leave a comment and share with yours with us.